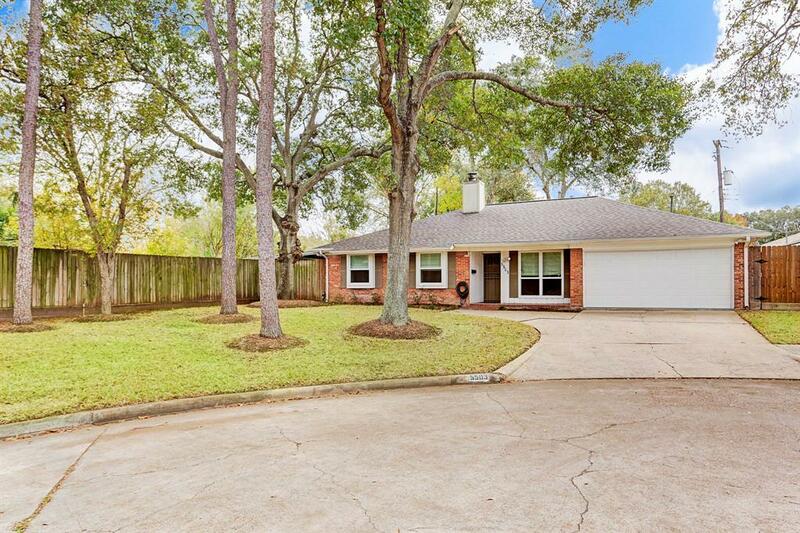 Located on a cul de sac w/ trees! 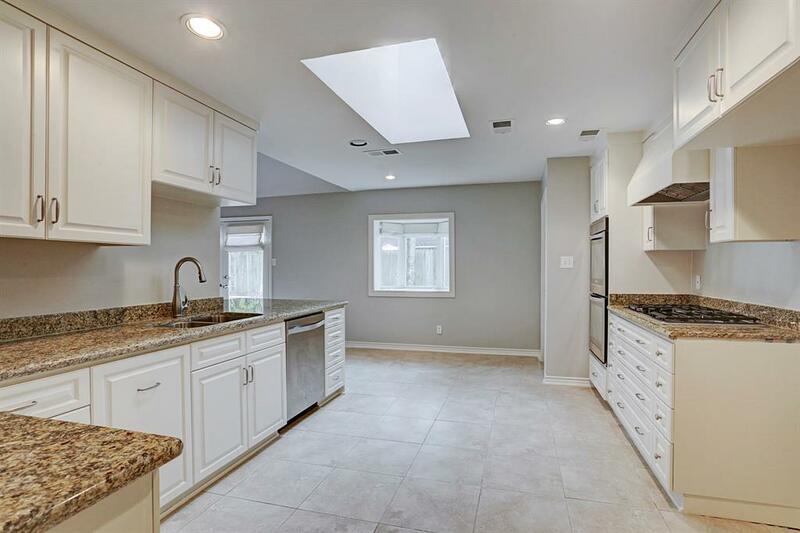 Renovated kitchen in 3/2 has numerous built in drawers & cabinets. 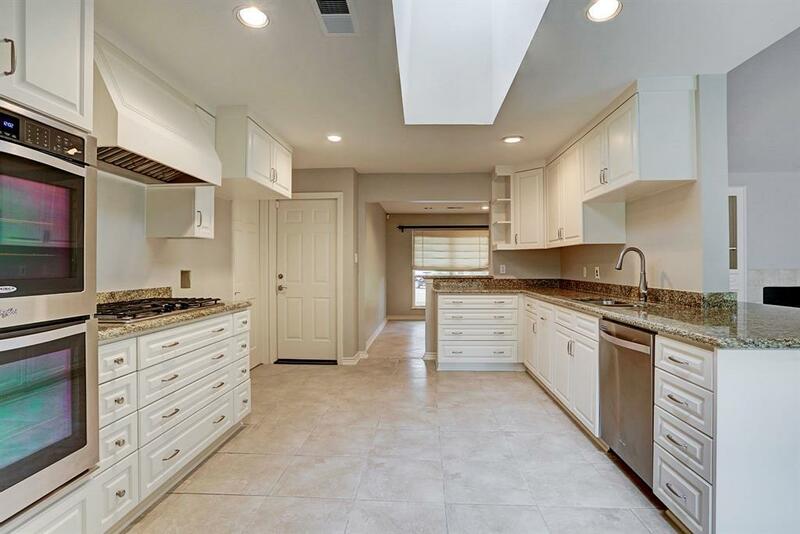 granite counters & 5 burner gas range. Kitchen is open to DR and den. Master suite has a huge walk in closet! Master bath features a whirlpool tub & separate shower. Den w/ cathedral ceiling & built ins overlooks large yard. 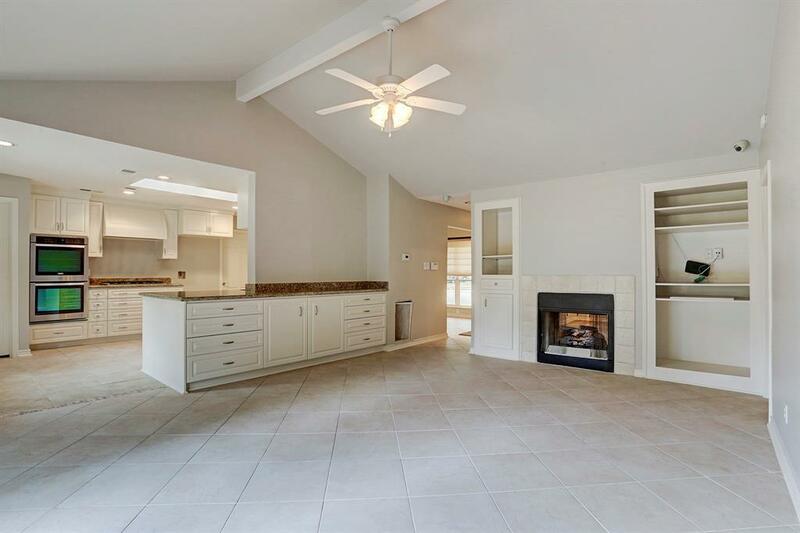 Split floor plan w/ master off kitchen and 2 bedrooms and a bath off den. 2 sided gas log fireplace divides den and living room. Rec'd small amount of water at Harvey.